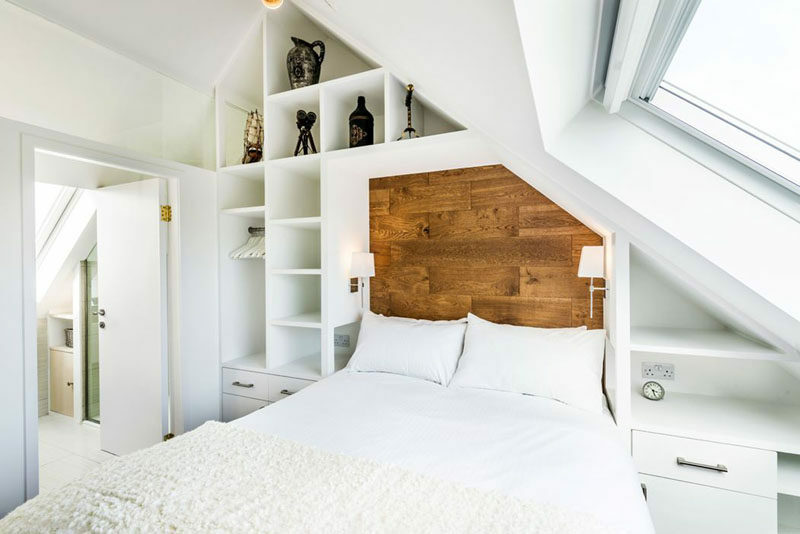 In homes both large and small, storage space can be hard to come by. 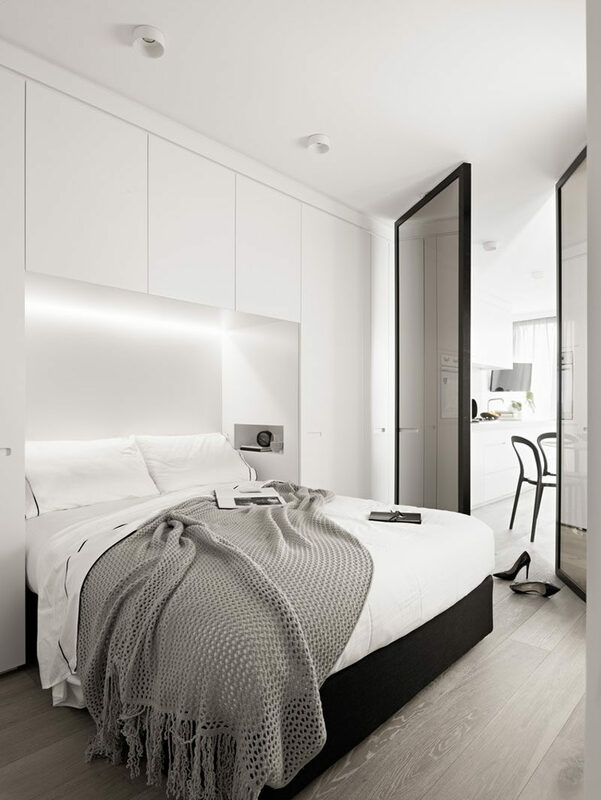 One space that always seems to have a lot of potential storage opportunity is the area surrounding the head of the bed. 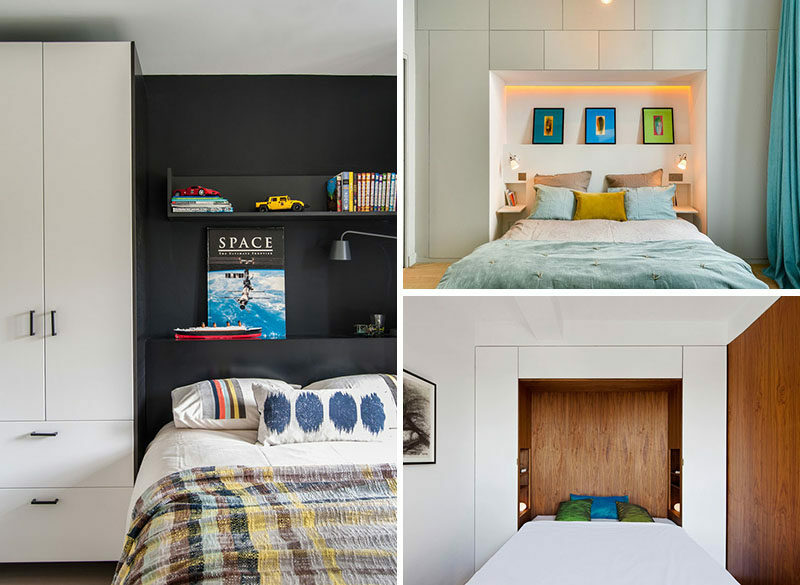 While headboards and artwork can be pretty, built-in cabinetry provides additional storage and turns an otherwise empty wall into one that can hold anything from extra linens to books to toys or winter jackets. 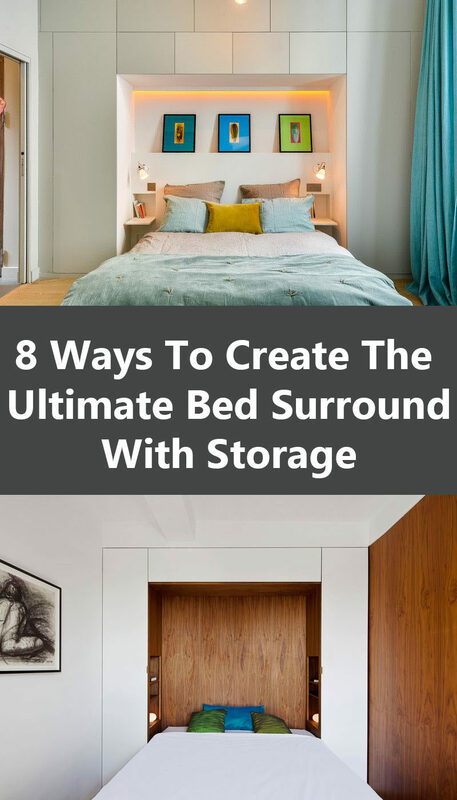 Here are 8 tips for creating the ultimate bed surround with lots of storage space. 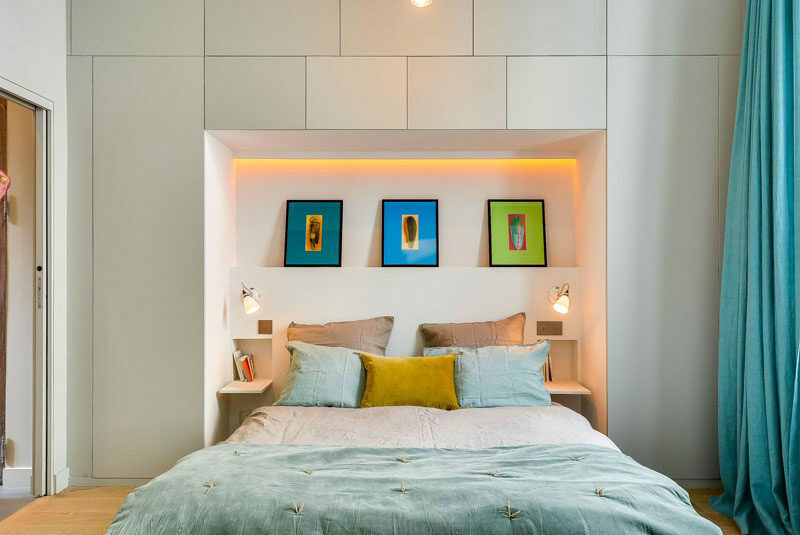 Building your lighting right into the storage brightens up your bed and storage areas, provides you with the perfect reading light, and gives you more freedom to store things in the places where bulky light fixtures would have gone. Interior design by Elenberg Fraser. Photography by Peter Clarke. Just because you cover your wall with cabinets doesn’t mean you have lose out on having art on you walls. A shelf in between cabinets creates the perfect spot to prop up some of your favorite art pieces and adds some personality to your space. See more photos of this apartment, here. Designed by Tatiana Nicol. With cabinets built around your entire bed already, why not include built-in nightstands as well. That way you’ll be able to keep your books, clock, phone, and whatever else you need tucked out of the way but right next to you while you sleep or lounge. Interior design by Studio Garneau. Including a combination of both open shelving and closed off drawers and cabinets allows you to keep some things easily accessible and on display, while keeping other things out sight and out of the way. Interior design by Evolution Design. Photography by Chris Humphreys. 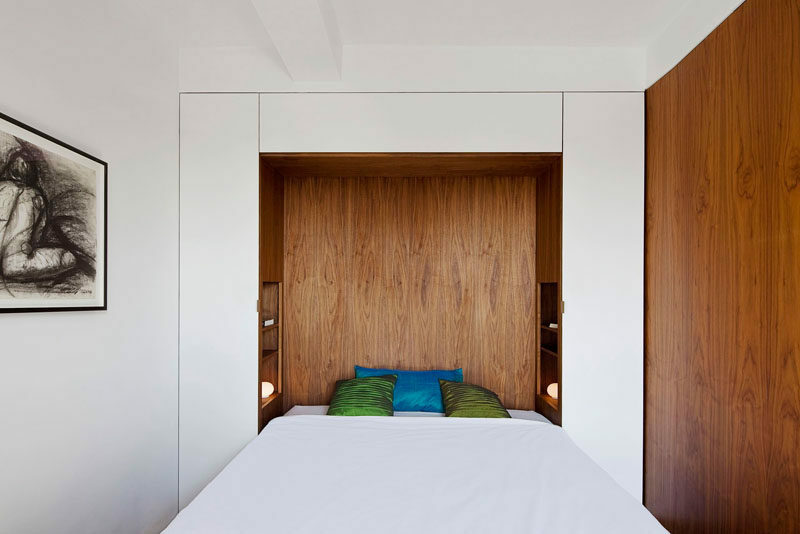 If you’re really tight on space consider using a murphy bed. When they’re not being used you can’t even tell they’re there and when they are being used they’re still surrounded by storage options that make it easy to keep all of your things organized, even in the tiny space. Interior design by LifeEdited Inc. Surrounding your bed with built-in storage can make your bed feel like it’s lost in all of the cabinetry. 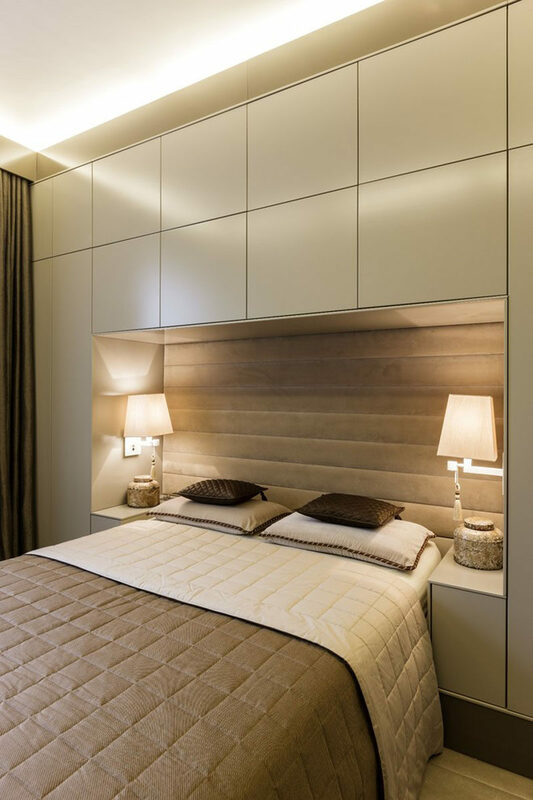 Defining the sleeping space with a bold color or a different material than what’s been used on the rest cabinets sets your bed apart from the storage and adds color and texture to your room. Interior design by Mhouse Inc. Photography by Stephani Buchman. 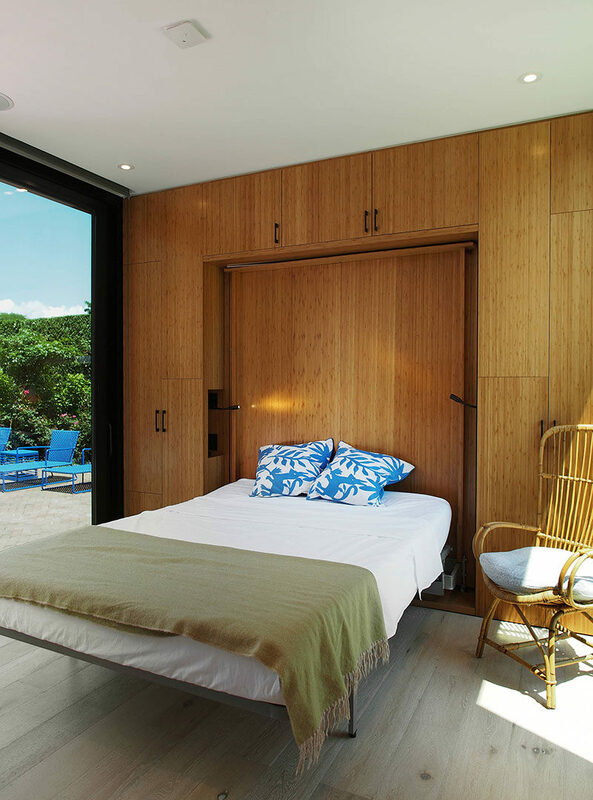 Soften up your built in cabinets with a built in headboard. The fabric makes a soft place to lean up against as you read in bed and creates a contrast against the solid lines of the cabinetry. Interior design by Keir Townsend. If you’re going to install built-in cabinets around your bed you might as well do the whole wall. You’ll get maximum storage space and it’ll help create a finished and symmetrical look.